25th of March, is Tolkien Reading Day! March is Back to Middle-earth month and Bilbo Baggins is back with his bingo game! You bet! I'm a 26-year-old Taiwanese-American woman and an amateur artist. 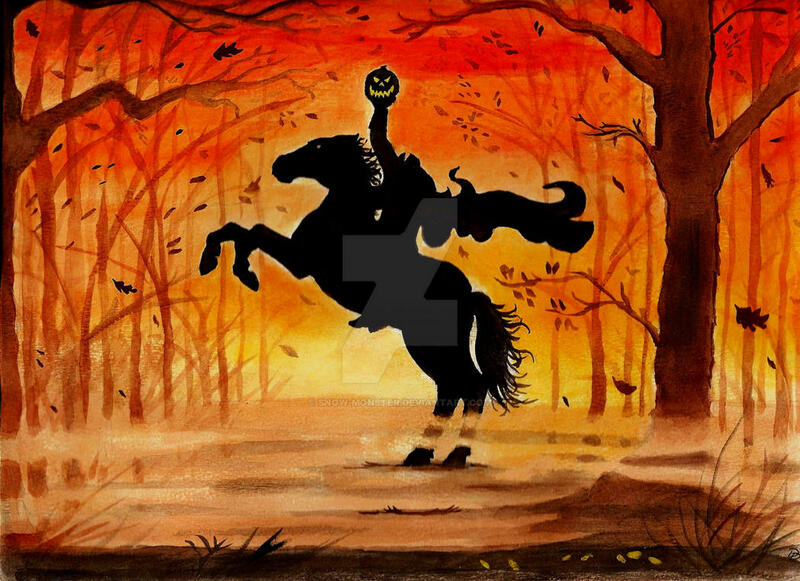 I love painting, Tolkien (obviously) and books in general, horses (I rode them competitively in college! ), music of all kinds, writing nerdy fanfiction (my boyfriend makes fun of me but I just tell him I'll leave him for Legolas) and tending to my family of succulents. The most interesting thing that's happened to me is probably almost getting bitten by a rabid monkey. Other answers to random questions: Virgo, O+, healthcare professional, introverted, and yes (but only on Tuesdays). One not so random question then: what brought you to deviatArt and how did you pick your username? I actually joined dA like 15 years ago (wow...) because all of my friends from school were on it. At that point it was mostly a lot of really random, really terrible art (if you don't believe me I dug this one off of an old hard drive. For those of you who think no one could possibly be worse at art or improve more slowly than you...here's evidence to the contrary. And that's not even the lamest one). I rejoined a few years back because of a reawakening of a desire to make and share art. My periods of improvement and productivity tend to be in spurts with long pauses in between. I started doing paintings of my longtime favorite subject material, Tolkien and fantasy, and that pretty much kept going; I'd get new ideas when I was finishing old ones and never had time to do them all. As for my username, it's a reference to my job in real life as someone working in healthcare. "Mellaril" is actually the trade name for an antipsychotic drug, and when I came across it in my studies I thought, "wow, really, 'Mellaril'? Whatever pharmaceutical employee came up with that must be a LARPer." So I picked it. So what creates the image of Middle-earth in your mind now? Is it more influenced by the books or movies, or maybe other artists, and did it change over time or remained the same? ...a whole new feeling of richness and passion imbued Middle-Earth for me. That's definitely the most significant change that comes to mind. That's an easy one! It's Maeglin. I'll admit, the first read-through of The Silmarillion, I wasn't too thrilled. It was all a blur of trees, "Light", confusing geography and too many long names. But in the middle of the book, there's this chapter: "of Maeglin." It's really the only chapter titled simply with the name of a person - not even Maedhros, the main character, nor Túrin, who has an entire book to himself later, is given the same honor. A child descended from kings, raised in obscurity, dreams of a better life for his mother- only to be orphaned for his efforts. He swears allegiance to the king who killed his father and fights bravely in the Nirnaeth Arnoediad - and all would be well if he didn't fall obsessively, fatefully, in love with his first cousin. His actions lead directly to the downfall of elven-kind, and for them he is rightfully considered the evilest of elves, but it's a beautiful, haunting story so ahead of its time! In it you see how love and idealism lead ultimately to devastation; how the pride and greed of the Noldor led to the First Kinslaying, the resentment between Noldor and Teleri, the death of Maeglin's parents, and ultimately to his decision to betray the entire world. It leads you to ask: who really was he? Could things have been different for him? Did anyone love him? Are there also some other topics in Tolkien's works that you are particularly passionate about? Many of them. I absolutely love the letter that Tolkien writes to Milton Waldman telling him about The Silmarillion and what it was all about. He describes the mingling of fantastical myth (elves) with "realer" stories (as Men are interwoven). Elves doomed to live forever and Men doomed to die. 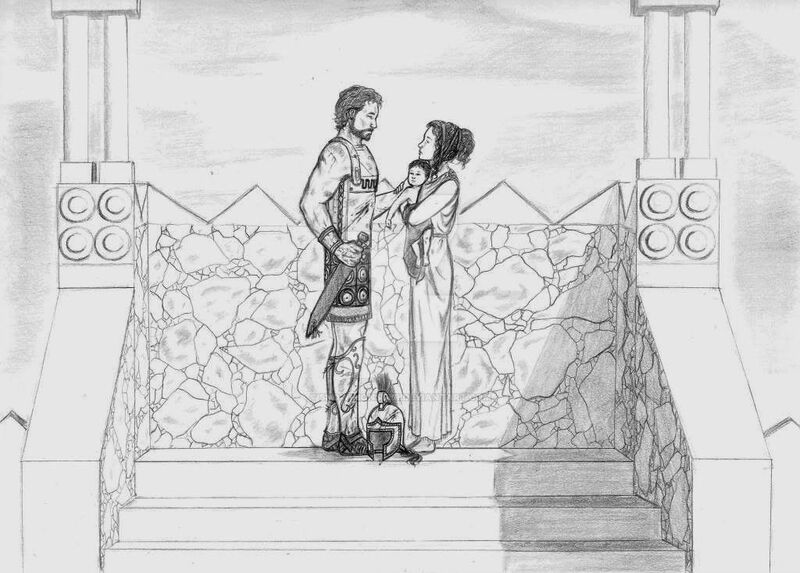 The humble and small (Beren and Lúthien) accomplishing the unthinkable in the name of love. The oath of Fëanor, which "dogs all their later heroism, generating treacheries and undoing all victories." Nods to other legendaria including Norse mythology, Christian tradition, Oedipus and Greek Myth. And of course: love, friendship, loyalty and sacrifice, over eons. 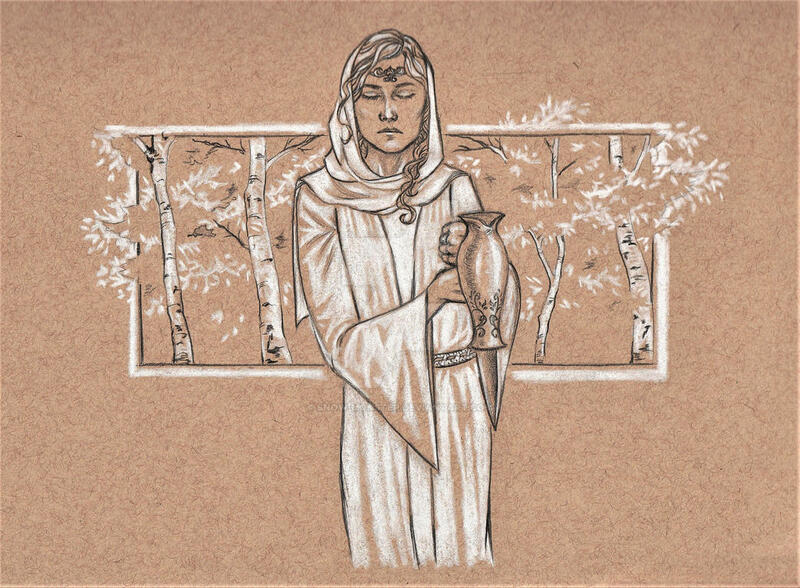 For instance, the Ring of Barahir that Finrod gives to Barahir in thanks for saving his life, later invoked by his son Beren, leading Finrod do sacrifice his own great life for him. The list goes on! Now, could you tell us something about you and art? What was it that reawoke your desire to make and share it, and how did you lose it in the first place? When did you start doing it, and who or what influenced your style? 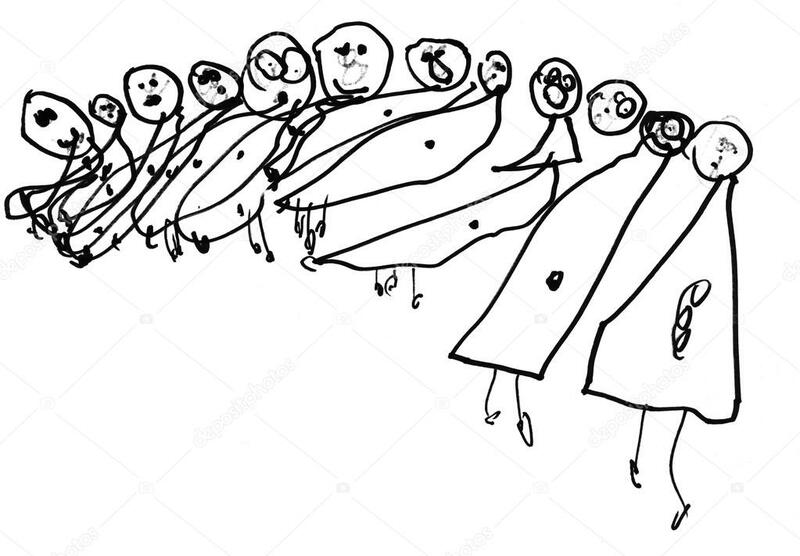 I've been drawing for as long as I can remember. I filled dozens of sketchbooks. They're still on my shelves. I studied oil painting and sketch and later on taught myself to do other things starting from basic principles. It wasn't really that I lost my interest in art, I just set it aside for a while because other things caught my attention. I tend to have phases of obsession and passion and get really into things - just an addictive personality I guess. My earliest influences I'd say were anime/cartoons, classical and modern portrait painters like Bouguereau, and now contemporary digital artists/illustrators like Kienan Lafferty, Lois van Baarle, and Samuel Youn. Depends - usually a feeling or idea will strike me when I'm daydreaming. Or I see a photograph, scene in a movie or other artwork that inspires me. Then I try to make it more my own, and gather more references and ideas and try to pull it all together into a composition that is interesting and balanced. I try a couple of rough sketches and thumbnails. I try to think about the time of day and lighting, the feelings of the characters, and elements of background and design. More often than not I think the finished picture doesn't succeed or isn't what I imagined. I'm still trying to get better technically to pull off more of what I want to do. You said you also write fanfiction. Where can we find your stories, and what is your inspiration for them? I'm not very prolific these days, but I've written two stories so far. One is kind of a re-telling of Of Maeglin- it's about his struggle with morality and his past, his relationships, and whether redemption is possible for him. The other is set in Nargothrond, and it's about Gwindor and Finduilas. I was inspired by the song "The River" by Springsteen, about how a once blissful and innocent loves turns sad and difficult. But I also wanted to write a happy ending for them. So, possibly it's still in progress. Books! And music! I love illustrating how written scenes appear in my head. I have vague plans for scenes from the universes of Haruki Murakami and David Mitchell; East Asian Mythology and so much more. Now you've really inspired me to branch out from Tolkien! Great! Your art is both tradition and digital, do you have a preference in medium? Do you rather keep to the art techniques and styles you are familiar with, or do you experiment with new ones as well? I prefer traditional! I think the physicality of the medium really allows for gorgeous and spontaneous results. Even in my digital stuff I try to incorporate textures, brushwork and different stochastic elements to give it a more vibrant feel. I definitely don't want to keep to just one style! I'm still artistically a baby, experimenting with different techniques I like from other artists, or just on my own. That's probably why every piece in my gallery right now looks nothing like any of the others. For now I don't really mind that! I don't want to be tied down to a single way! Despite that, or maybe exactly because of that, do you have some tips and tricks you would like to share with other experimenting artists? Hmm interesting question! I'd say in general, make art for you - not for your followers, not for any kind of popularity or status. Just do what brings you joy and makes you happy and don't worry if it's not good enough. Every painting I've ever done to try to get more likes, shares, favorites or whatever ended up being flat, frustrating and a chore to do. Especially if you're a hobbyist like me, art is one of the things I do to escape any kind of obligation or expectation. On a more technical level: learn the rules before you break them; alternate between painting from reference, copying the work of artists you admire for practice, and painting from imagination. Learn about perspective, composition, value, and color theory. Kienan Lafferty's KNKL show on YouTube is a phenomenal resource. I also use Pinterest a lot to gather references and inspiration, and to broaden my visual vocabulary. I love this one. It was inspired by a Rodin sculpture. Pretty different from what I usually do. Always grateful for your friendship and your fantastic art. What you do for this community is beyond astounding. Thank you so much and thanks for taking the time to get to know me! And a huge thanks to everyone who stayed by my side when I was down. "Faithless is he that says farewell when the road darkens." It's my pleasure! Would you also like to use this space to give a feature to someone? Is there some artist(s) at dA you know, who doesn't have as much attention as they would deserve? If yes, could you give us some thumbnails from their gallery? Sure! OK full disclaimer, all the people I'm about to mention are more popular and better artists than I am, but they haven't done interviews here yet. And they don't know how much I admire their art so this may come as a surprise to some of them!! 1. He just makes fantastic landscapes and concept art and I am so, so jealous of his skills. 2. I love her dreamy, whimsical scenes. 3. Beautifully lit, soft works. And she just keeps getting better!! 4. This art-noveau wolfy stuff is really neat. Thank you! 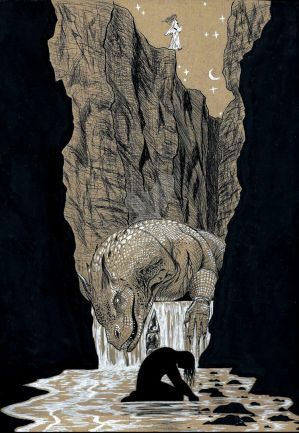 Just a side note, there has been an interview with kuliszu, but under her old nick AlasseaEarello And we are getting to the end, so is there something else you would like to tell to the fans of Tolkien and your art? Oh! That explains a lot! Well I'm glad she's already been recognized. Hmm, all I have left to say is thank you, whoever you are, for taking even the slightest bit of interest in what I love to do! I hope we can make friends and learn from each other! And thank you for your time and answers! J.R.R. Tolkien was born 127 years ago, on January 3rd 1892 in Bloemfontein. Together with the Tolkien Society, we invite you to celebrate the birthday of this much loved author by raising a glass at 9pm your local time. The toast is simply: "To the Professor! ", or if you prefer Quenya, "Alasse merendenna i Carmo!" It is my pleasure to introduce a talented ukrainian artist - Skvorr to you with this talk. 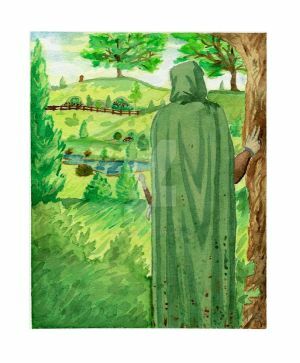 If you follow her gallery, you can not only find great Tolkien themed art, but also many interesting adpotables or commission a painting just for you. Hello! First of all, I should apologize for my bad English. I hope you tolerate my mistakes. My name is Natalia, I am twenty two years old and I live in Ukraine. At the moment I get a diploma of higher education in the field of painting, and in the future I plan to continue to develop in this area. I am interested in fantasy, RPG and board games. I was looking for a suitable platform for my creativity outside the CIS, and deviatArt seemed to me to be the most convenient site where it was easy to get started. But my username has a long history. In social networks I use the name Starling (in Russian it will be read as Skvoretc). Gradually, this word was reduced to Skvorr. This is a strange story. I first met Arda in early childhood, when my mother bought me a Hobbit, but I really got carried away only a few years ago. My favorite person introduced me to this world, showing it from a completely different side. In any case, both of my "first" times left a surprising aftertaste of magic. I think, like many, I was influenced by Jackson's film adaptation. The design in them is really great. But I was faced with the fact that many people directly copy it, which is why there is a lack of diversity. Now I’m trying to add more Romance to my fan art. That is what I like. 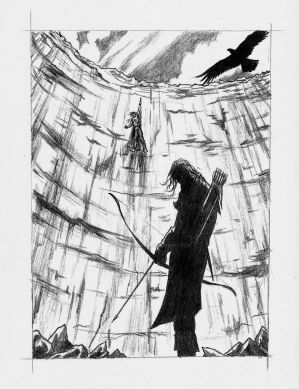 I love the Silmarillion, but the Lord of the Rings is cold enough. I like innuendo and the ability to analyze, to seek the truth. Maedhros, perhaps. 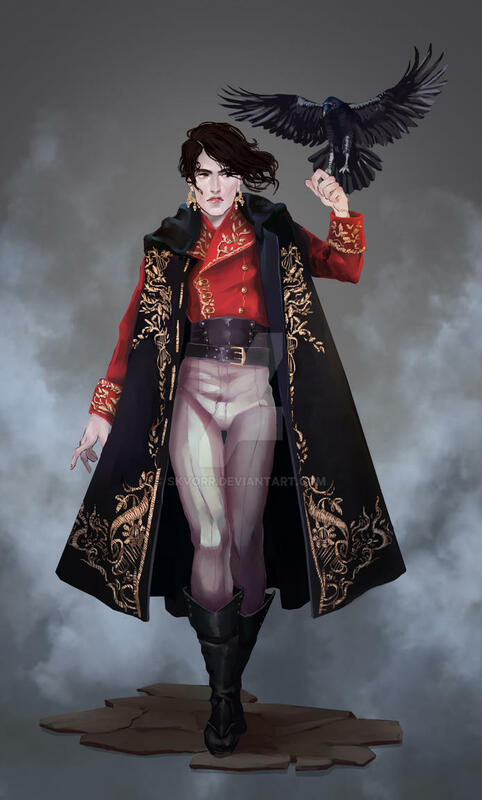 This character has such a hot mixture of nobility and dishonor, devotion and betrayal, incredible inner strength that he can leave very few people indifferent. It is a pity that many underestimate him. Yes. I like the motive of senselessness of war. In addition, even the dark characters of Tolkien are not evil initially. 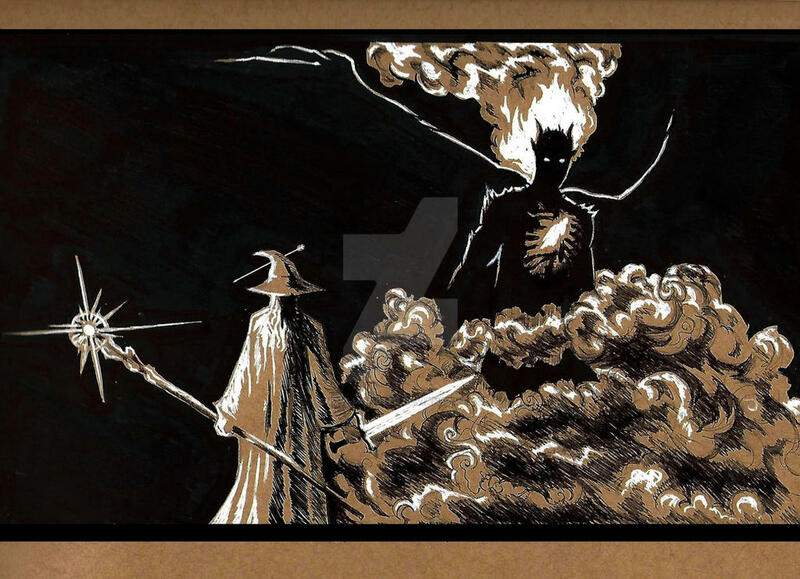 Melkor and Sauron built their way, initially guided by no evil intentions. It makes you wonder. I make art a living, although I paint only four years. I always wanted my style to resemble the work of Asians, like Ruan Jia, but to this I was very far away. The most standard process. I make a lot of quick sketches, trying to find a good composition and idea, and then just draw. I once drew a little on Dragon age, but now somehow I don’t want to. I am always looking for ways to get better. Right now I'm learning 3D, and I hope to embed it in my work soon. Traditional techniques are something I'm not very fond of, but among them I like watercolor, oil and coal. I have one piece of advice: do not look for easy ways. 13. You offer commissions, adopts and "your character here" pictures. What is your experience with this type of business so far? Would you recommend it to artists looking for a side-income? YCH I started to study quite recently and I can advise very little. It can be hard to find customers, but this is an interesting job. 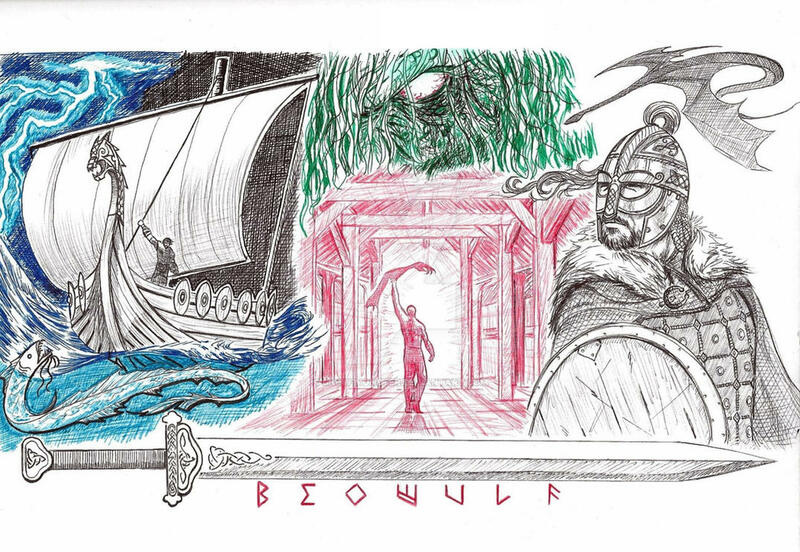 I have an illustration for the Silmarillion, which causes me the greatest pride, although it is rather old. I created it with love and excitement, and I think it feels. The work on Irmo was the most difficult for me. There is a complex color scheme; it was not easy to maintain a balance. In addition to her, I like this adopt. I drew and sold many adopts, but this design still seems to me to be the best. I cannot say that I have ever had people supporting me on my way. But at one time I was very inspired by the games Bioware, I wanted to work on creating them. Until now, this dream partially makes me strive for the best. My grandmother also helped me a lot. She is a good person, and the only one immediately accepted my choice. 16. Would you like to use this space to give a feature to someone? Is there some artist(s) at dA you know, who doesn't have as much attention as they would deserve? If yes, could you give us some thumbnails from their gallery? I do not think that I am so famous to have fans. 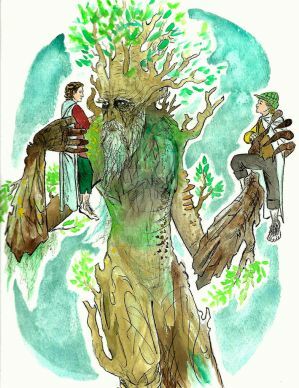 But Tolkien fans should know for sure that they are amazing people, and everyone makes their own contribution so that Arda is not soon forgotten. This is really cool, guys. I admire you. Like in a game of cards you can use the Joker card to replace any other, now you can pick any of the past challenges that stir your imagination and write a story or create art for it. 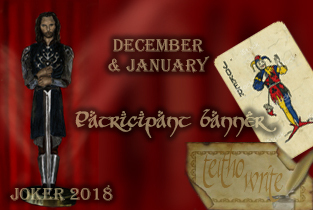 You can finally write that story you wanted to write for that challenge once, but didn't have time for it, or write a story for some of the challenges that Teitho had before you even knew about its existence! You can see the list of all challenges in the left column of the Teitho website. 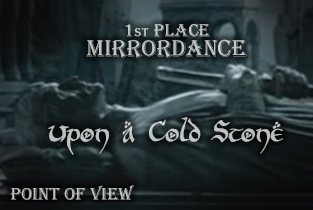 Please include the title of the challenge you used with your story. 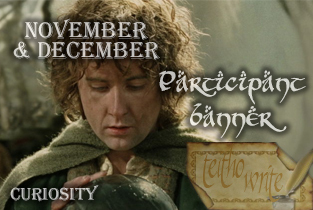 Our theme for November and December is Curiosity. Curiosity is primarily defined as a strong desire to know or learn something. It is a characteristic we see in the youngest of children and is a concept we carry with us our entire lives. Curiosity is a keen interest, a spirit of inquiry or inquisitiveness. It can be a child's first exploration of the world around them, a teenager's inquiry into affairs they are not meant to privy to quite yet, a traveler's interest in a new location or culture. Curiosity can be a benign attribute, evoking encouragement or amusement in those it is directed towards. But curiosity can also have a more sinister side, when unbridled inquisitiveness becomes intrusive or delves too deeply into secrets or situations better left alone. Sometimes our curiosity gets the better of us and we end up discovering something we were not meant to know. Or finding ourselves in awkward situations of having overstepped boundaries or betraying a trust. Curiosity can result in finding oneself in unsavory circumstances.There is yet another permutation of curiosityâ€”defined as a strange or unusual object or fact. 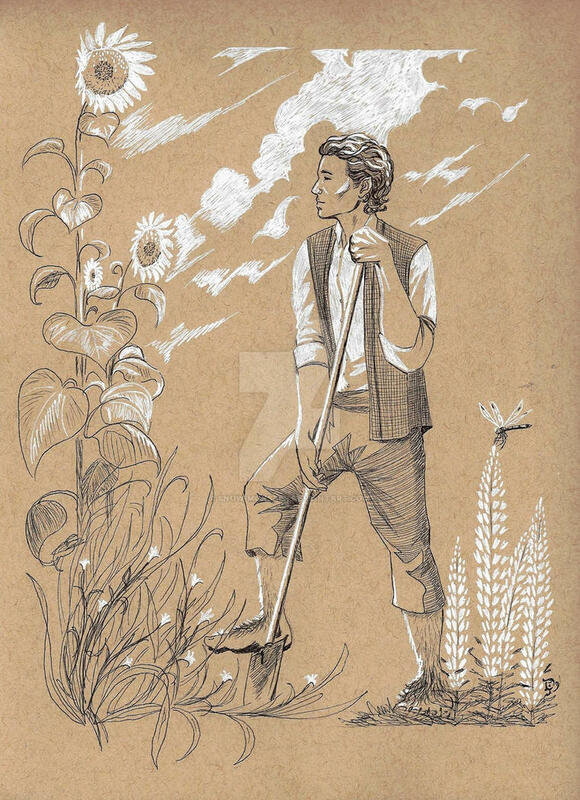 Will your story invoke the unquenchable curiosity of a young hobbit? Or a Wood Elf's yearning for more understanding of the greater world? Are secrets uncovered by a solitary Dwarf that would have been better left alone? Does your story take a character along a line of questioning that benefits them or leads to misunderstandings? Did the residents of Hobbiton think Bilbo's mementos from his travels were mere curiosities of no consequence? Whatever you decide to present - curiosity as a pursuit of knowledge, or as a prying irritation or even as an unexpected object or realization - please show some curiosity and review our rules for submission.